See more objects with the color grey dimgrey tan wheat darkgrey or see all the colors for this object. This is a Sample. 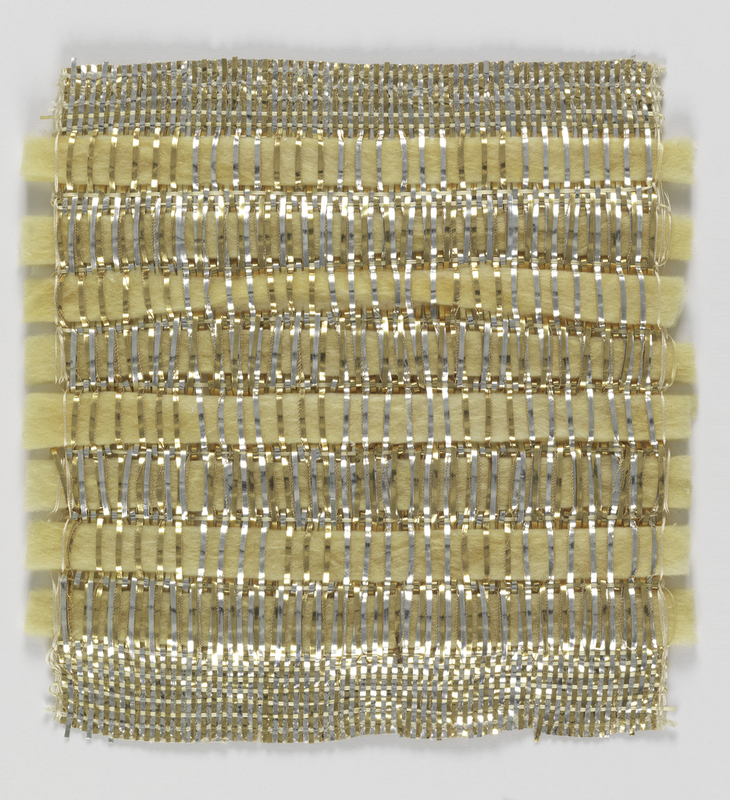 It was designed by Mary Walker Phillips and woven by Mary Walker Phillips and student at Cranbrook Academy of Art. It is dated 1960–63 and we acquired it in 1971. Its medium is lurex®, natural fiber, insulation glass, linen and its technique is plain weave, natural fiber weft alternates with insulating glass which is bound alternately by three our of four warps or one out of four warps. It is a part of the Textiles department.